Today, I have a special treat for you. Instead of reading my usual snarky rantings about the world falling apart (that, of course, somehow relate to writing/reading), you get to read someone else’s ranting. Her snark level is much lower than my own. May I introduce Shana Swain, mother of two and lover of literature. Shana, take it away. Shana reading to her girls. What is it about kids’ books that makes my daughter see some as winners, and some as whack? What choices should you and your child make to avoid a potential breakdown at reading time? 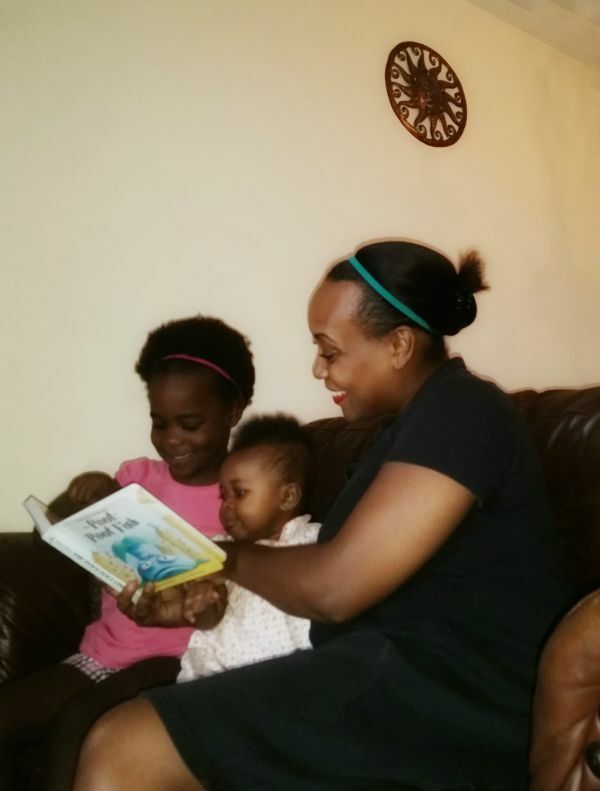 When dealing with young kids, I’ve had the pleasure of experiencing many crazy fits of trial and error, and have observed that certain factors come into play when a child chooses her favorite books. Length, illustrations, syntax and meter, and even sentimentality seem to matter most to my daughter, although she isn’t able to express this in those specific words. Some authors have mastered combining the aforementioned factors; some have not. Length is paramount, like huge–so listen up. Kids’ attention spans vary by age; you can calculate your child’s by using three to five minutes per year of age. So, with a 3½- year-old, I am shooting for a book I can read in 10 to 12 minutes. Of course, the many interruptions that will undoubtedly take place can add another several minutes, so beware! But these interruptions aren’t bad things–they just mean she is inquisitive and wants to understand. The great thing about reading to your children is that attention spans grow with mental exercise! The more you read to them, the longer they’ll be able to concentrate. 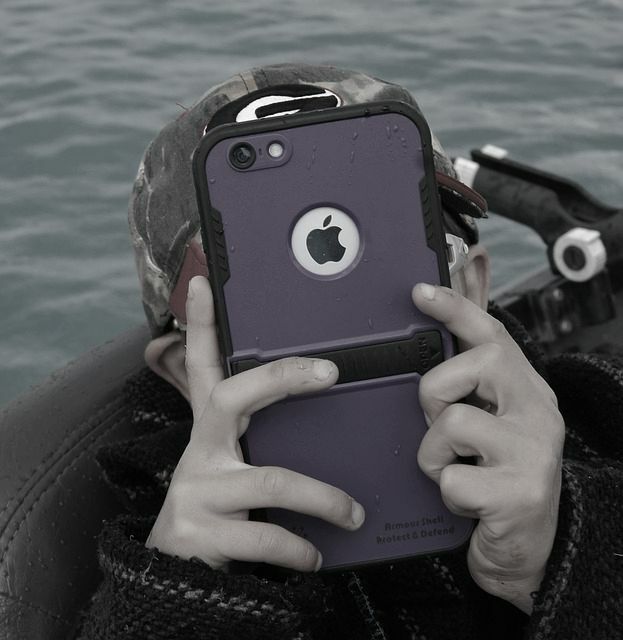 Help out their brains and stimulate them with books more often, and back off the iPad! The sun doesn’t shine as brightly when you’re looking at a screen. Yeeeaahhh. We all like pictures. They help to explain the accompanying text. Children love pictures because they’re better able to understand what’s going on. My daughter is learning her letters, but has yet learned to read, so the pictures help her follow along in the book. Essentially, if it’s well-illustrated, she can “read” the book on her own, giving her more incentive to opt for that particular book. And when she can read on her own, you can rest your mouth, Parent! Obviously, most children’s books come with illustrations, but some exceed expectations and offer brightly colored or textured pages full of pictures that kids of any age can understand, thus providing the stimulation necessary for growth and development. I’ve noticed that a good book–through the eyes of my child–is one that has a fluid tempo. Meter and syntax is important. With regards to attention spans, it has been my experience that if the text is disjointed and jumbled, it doesn’t tug at my daughter’s ears as much as a book with shorter sentences and possibly a rhyming pattern. So, how do you evaluate a book’s syntax and meter quality? If you can “rap” the lines of the book, your child is bound to listen. If the words are arranged in a “musical” way, it’s easy for a child to understand, and she’ll enjoy having it read to her. This has helped my daughter vastly improve her vocal skills, as she’s able to recall sentences the way they’ve been read to her–even if now she sounds like Kurtis Blow. Sentimentality is an intangible factor that comes after the other three have been met. Those books with rough and tattered covers, or the ones that have PB&J-filled pages from when you let her “read” on her own–these are the books that will be remembered. 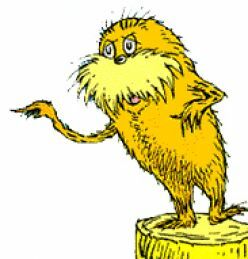 I read so many Dr. Seuss books growing up that when it was my turn to share them with my girls, I was happy to pass them down, and all around, or in a house, or with a mouse. And I now see why his books have stood the test of time. He encompasses all of the aforementioned components of effective children’s book writing. His stories have short sentences, can be read in a few minutes, have pictures that tell the story, and have text following a meter that most children can pick up. And sure enough, the nostalgia I feel when reading his books probably encourages my daughter to love them, too. There are many other books that have been on the shelf and in our laps since my oldest was much younger: Little Quack’s ABC’s, Ten Busy Whizzy Bugs, and The Pout-Pout Fish, which could win a Grammy with the right instrumentation. When it’s time to purchase books for your little one, save some money by reading them first and taking heed to the above components of a great kid’s story. Choose your child’s next book wisely. You’ll thank me later! Keep up with Shana by following her on Facebook and Twitter. Find out where your literary BFF ranks, according to Bustle (#1 makes me happy, but where are Holden and Phoebe Caulfield??). My question for you all: What’s your kid’s favorite book(s)? Bonus points if anyone mentions Shel Silverstein. You are an amazing mom Shana! Keep doing what you’re doing! Interesting. I wish I’d read this fifteen years ago. In my case, buying kids books was pretty hit or miss. Some they liked (these are mostly sitting on a bottom shelf somewhere since my kids are now too old for them) and some they didn’t (mostly snug and warm at the bottom of some landfill). I’ve always loved anything by Dr. Seuss…..”Stone Soup” and “Chicken Soup with Rice”…..yes, “Giving Tree” and “Light in the Attic” 🙂 This was a unique and fun twist from your usual hilarious rants! Thanks! This is something I can’t speak on, since I’m not a mom, so I was stoked that Shana was interested in writing about this topic. Hmmm…you mentioned something about an attention span calculation — I wonder how someone derived that formula? Clive Barker has written a very touching kid’s book — The Hellbound Heart. You should check it out. There’s a link in that attention span sentence, where the info was taken from. I wonder how the formula came to be as well. We must look into this. Yeah, it’s tricky. Personally, I think it’s awesome when kids have a balance of things. Education and fun – this is my approach when it comes to my daughter. Making sure her English is perfect is as important as teaching her manners. Maybe not ”southern” manners – but manners nonetheless. I also like when she studies history (for example: now we’re studying the history of baseball). I’ll think of a book or two later. Have a great day! Yep. If Shana happens to know good books on manners (with particular focus on girls) and she is willing to share her knowledge – that would be awesome! I think she ought to have a ”permanent space” on your blog, Katrina (it’s your decision, of course). As a kid, I loved the Dr Seuss books and popup books. A more recent children’s book that will grab adults as well: “If …” by Sarah Perry (1995, Getty Publications). The pages come in pairs. On the left, there is a snippet of text (in big type that would be good for beginning readers), such as “If cats could fly …” in the 1st pair. On the right, there is a full-page color illustration of the wacky notion in the snippet, such as flying cats with realistic feathered wings in the 1st pair. Another example: the text “If leaves were fish …” is paired with a tree branch that has green fish where leaves should be. There are also worms with wheels, frogs eating rainbows, and many other delights. American Psycho = the second novel I read cover to cover after Siddhartha by Hesse. True dat. Nice! I hope you’ve now added on to your list of novels you’ve read. Yes?